LONDON--(BUSINESS WIRE)--Market research firm Technavio has announced the release of an updated report on the global data center storage market. This new report will provide expert market insights for the forecast period 2018-2022. Technavio’s updated research report on the data center storage market for 2018-2022 covers a wide range of factors that will prove crucial to the clients and provide them with actionable insights. This report is a follow-up to Technavio’s previous research on the data center storage market and aims at helping businesses align with rapidly changing market trends and expand their market share in untapped segments. 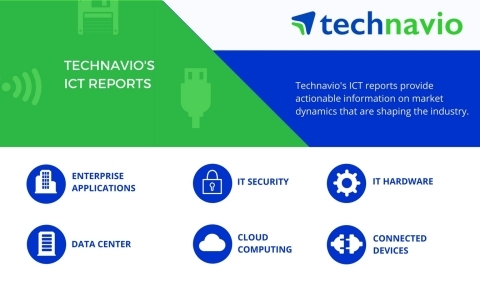 The upgraded research report on the data center storage market is an integral part of Technavio’s data center portfolio. Technavio presents market research reports on data centers and how acquisitions can help companies manage the huge data growth not just efficiently but also while keeping costs under control and staying at the top of their game. Some of the topics covered include pharmacy benefit, ethernet switch and router, data center construction, and data center power. Technavio’s previous report on the global data center storage market observed that the Americas dominated the market with a share of more than 40% during 2015. The US had the highest number of data center facilities, which made it a major adopter of data systems in the Americas. Also, the enterprises in this region preferred energy-efficient IT infrastructure. Therefore, the region was expected to witness an increase in mission-critical and high-performance storage infrastructures such as all-flash storage solutions due to the growing use of cloud services and big data analytics. Technavio’s report will evaluate the key geographical regions and their behavior over the past four years, introducing new data and observations and providing new predictions. The report on the global data center storage market for the period of 2018-2022 is available to order now and will be delivered within one week of purchase. Market research firm Technavio has announced the release of an updated report on the global data center storage market for 2018-2022.